Looking to enable Enhanced eCommerce tracking on your online digital store? 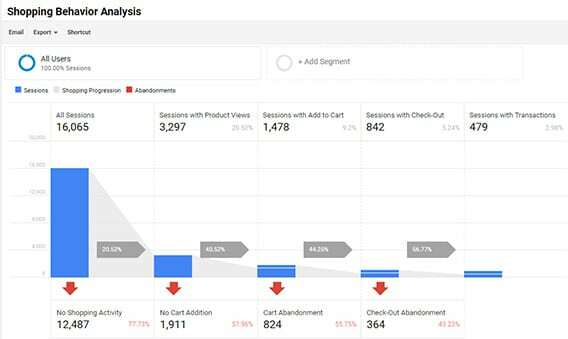 In Google Analytics, Enhanced eCommerce tracking provides you detailed data on how your customers are interacting with your digital store. With this information, you can optimize your Easy Digital Downloads store to generate more sales and revenue. In this article, we’ll cover what is Enhanced eCommerce, and how to set it up on your digital store powered by Easy Digital Downloads. 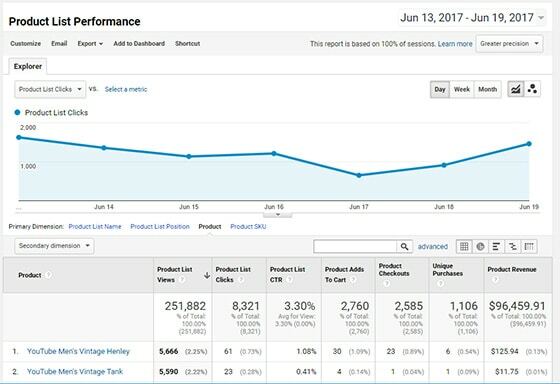 More metrics to analyze: You get in-depth insights into product page views, cart initiation, abandonment, completed transactions, etc. Coupon codes: You can track popular coupon codes on your shop and see what works and what doesn’t. Affiliate tracking: You can easily determine who brings in paying customers to your store, and compare the revenue, transaction and average order amount for each affiliate. Upsell and Cross sell: You can analyze which product lists appeared to users, and which generated clicks, and conversions. Category tracking: For large shops, you can evaluate your sales data based on product categories and brand properties. But Enhanced eCommerce can be tricky to set up without a plugin. It involves modifying your Google Analytics tracking code, which can requires coding experience and can open up your site to errors. 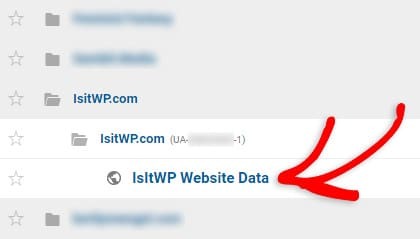 That’s why we recommend using MonsterInsights, the best Google Analytics plugin for WordPress. 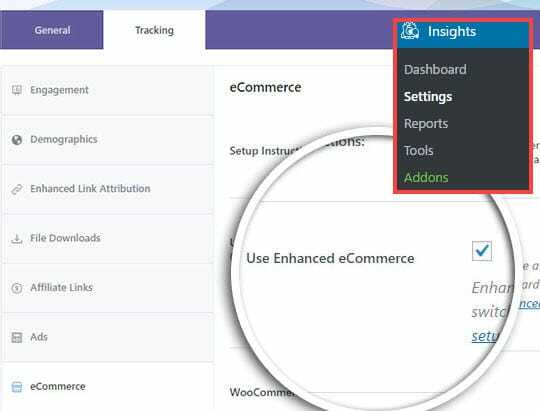 Using MonsterInsights, you can easily set up Enhanced eCommerce tracking and get all that valuable data without having to edit any code. First things first. Install the MonsterInsights plugin and authenticate it with Google Analytics. Then, you’ll also have to install the eCommerce addon. 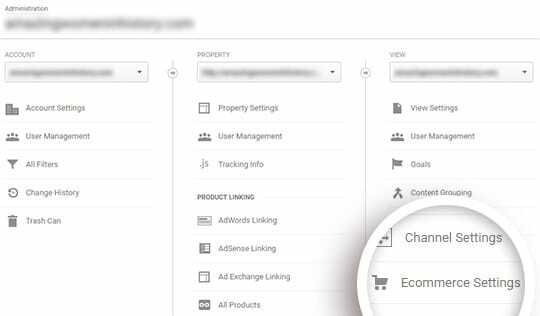 Now log in to Google Analytics, and select the website where you sell digital products with Easy Digital Downloads. 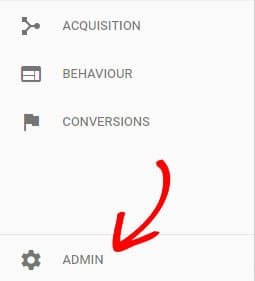 Next, click Admin in the left taskbar. Then click Ecommerce Settings under the column on the right. Next, click sliders under Status and Enable Related Products, to turn it from off to on. Then click the Next Step button. 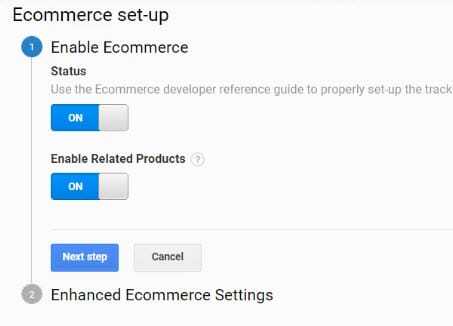 Now click the slider under Enhanced Ecommerce Settings, to turn it from off to on and then, click the Submit button. Next, log into your WordPress website and then, go to Insights » Settings. Click on the Tracking tab at the top. 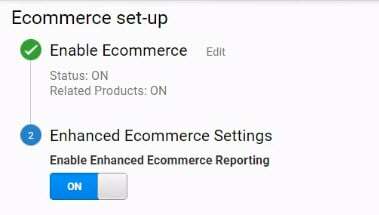 Then in the left taskbar, navigate to the eCommerce tab and select the checkbox near Use Enhanced eCommerce. You’ve successfully added Enhanced eCommerce tracking to your Easy Digital Downloads store. If you’re looking to boost sales from your online shop, you need to study your conversion funnel for leaks and fix them. Learn more about having an eCommerce conversion funnel, and how to optimize it to increase sales. For more tutorials like this, follow us on Twitter and Facebook for more Google Analytics tutorials.